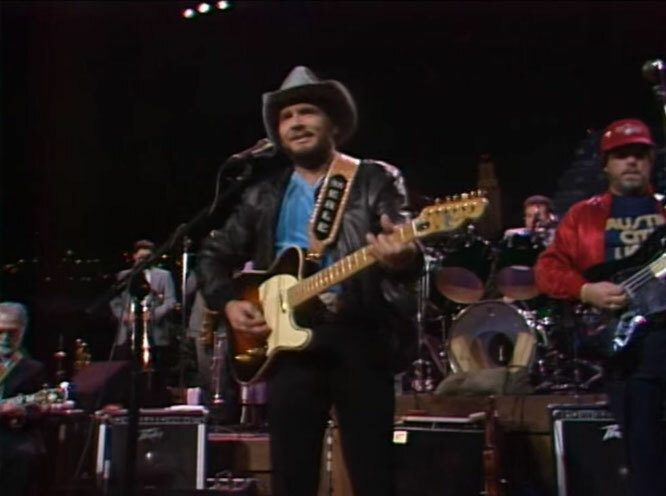 Merle Haggard performs "I Think I'll Just Stay Here And Drink"
"I Think I'll Just Stay Here and Drink" is a song written and recorded by American country music artist Merle Haggard. It was released in October 1980 as the second single from the album Back to the Barrooms. 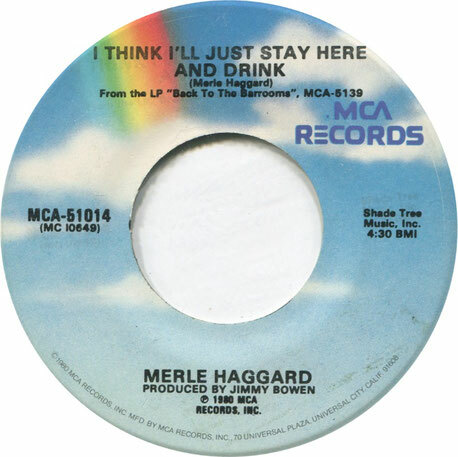 "I Think I'll Just Stay Here and Drink" was Merle Haggard's twenty-sixth number one country hit. The single stayed at number one for one week and spent a total of twelve weeks on the country chart. It features a memorable saxophone solo by Don Markham of The Strangers.